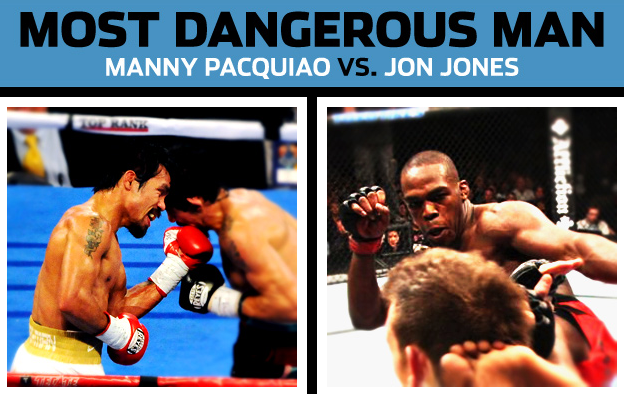 Combat Sports’ Most Dangerous Man: Manny Pacquiao or Jon Jones? Spike TV is gearing up for this year's Guys Choice award. Have you voted already? This June, the “Guys Choice” award is coming, and Spike TV has unveiled its all points bulletin for the fans to vote. Among the many categories posted are Holy Grail of Hot, Unstoppable Jock, Top Fantasy Leaguer, and Best Girl-on-Girl Scene. But among the several categories, the Most Dangerous Man is the most sensationalized. Who for you is the combat sports’ most dangerous man: Boxing king, Manny Pacquiao, or UFC light heavyweight champion, Jon Jones? You can cast your votes at Spike’s official website.